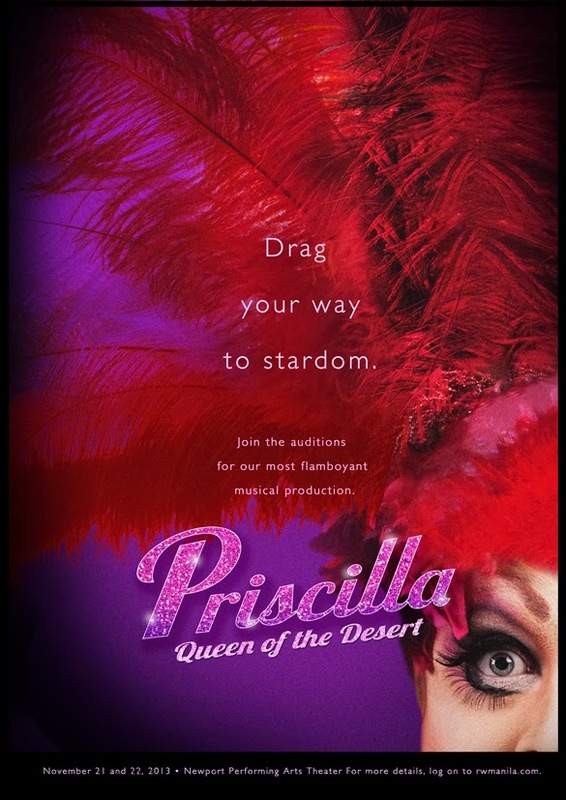 Resorts World Manila is looking for fabulous performers to take on roles in an upcoming production entitled, Priscilla: Queen of the Desert. Auditions will be held on November 21 and 22, 2013 (Thursday and Friday), 11AM – 3PM. Register from 8:30AM – 2PM at The Vestibule, 3F Newport Mall, Resorts World Manila. Please bring resume and recent photos to the audition. Download application form here.